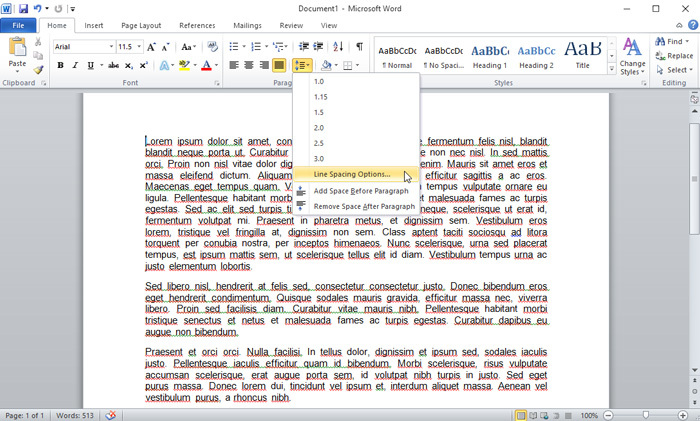 Microsoft word allows you to set or customize the line spacing in the document. Line spacing is the distance between each line in the paragraph. 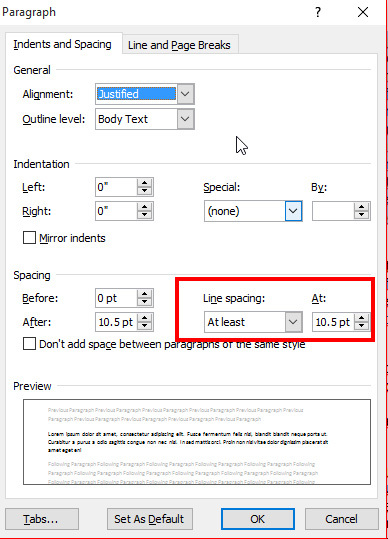 Some document needs to be double the spacing and, we will show you how to adjust the line spacing of the document. To adjust the line spacing, follow this simple step. Select (highlight or click anywhere in the paragraph) the paragraph or the content that you want to adjust the spacing, then Go to the Ribbon in the Home tab, Paragraph group and select the line and paragraph spacing icon. 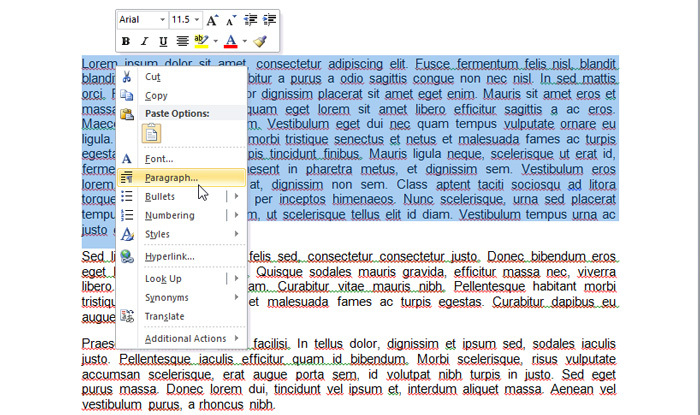 Clicking the line and paragraph spacing icon will reveal the drop down, where you can select the preset line spacing. If you can’t find your desired line spacing in the preset spacing provided in the drop down, you can set your own, just select “Line spacing options” in the drop down. You can also perform right click on the selected paragraph and select “Paragraph” in the shortcut menu. 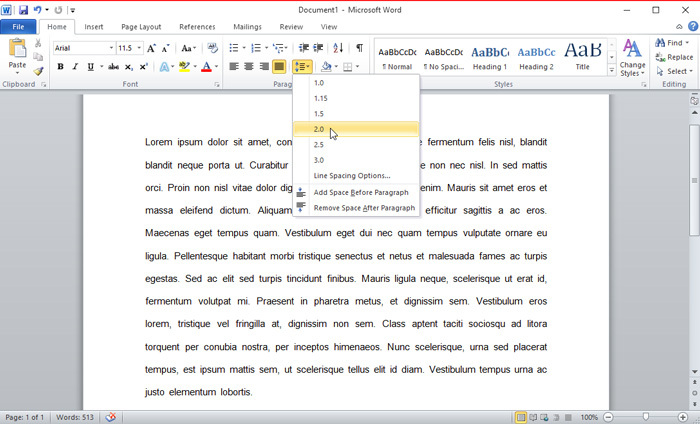 Either of the two options above will take you to the same Paragraph window where you can set your desired line spacing. In the spacing section, focus your attention on the line spacing, select “At least” then adjust the number at “At” field and click ok to apply.